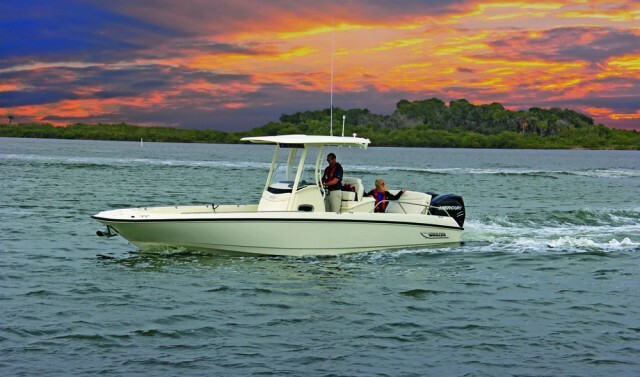 The Boston Whaler multi-purpose center console series grows with the Dauntless 270, to give you more range, more space, and more versatility. 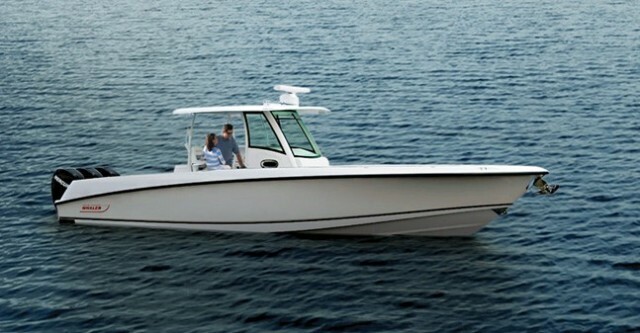 With a slew of new and redesigned boat introductions in the past year or so, including the Vantage Series, the 315 Conquest, and the 285 Conquest, Boston Whaler is clearly not sitting on their laurels. The latest proof that this boat builder is always looking forward, beyond their rich history of success? 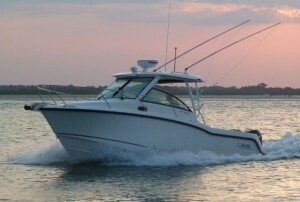 The just-introduced Dauntless 270. The 270 brings more of everything to the Dauntless line-up: more space, more range, and more possibilities. The 270 is a big jump in the Dauntless line, which used to top out at 23 feet. 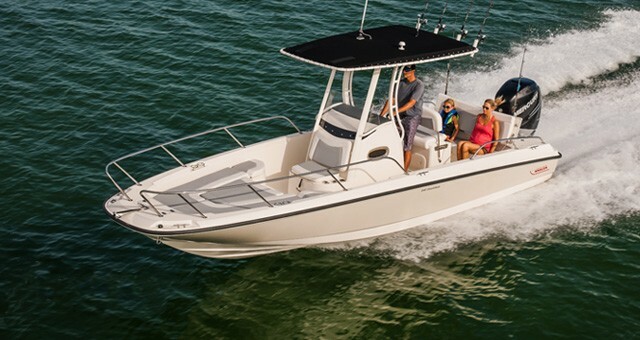 Since the entire Dauntless series is designed to offer center console fishability mixed with multi-purpose abilities, growing it out by another four feet makes a lot of sense. Cruisers get a vastly expanded range, thanks to 150 gallons of fuel capacity (matched with a pair of 150-hp Verados, the 270 Dauntless should be able to break 300 miles without a problem). Big families get gobs of seating, including a full-width aft bench plus a forward cockpit that seats four, and features a newly designed forward console seat plus. Die-hard anglers get canyon capabilities and twin engine reliability. Watersports enthusiasts get an integrated swim platform, additional wakeboard/waterski stowage space, and an optional ski-tow pylon or towing ring. Whatever waterborne activity gets your blood pumping, the Dauntless can do it—and when you change your mind it’ll be ready to change its mission right along with you. 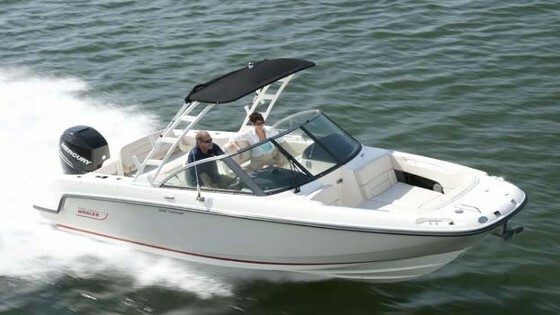 One thing about the Dauntless 270 that doesn't change: it’s built to be unsinkable. Closed cell foam is pumped between an inner and outer hull liner, so when it hardens it bonds the two together into a single structure. Cut it in half – heck, cut it into 20 different chunks – and the pieces-parts will all float. Another aspect of the 270 that holds with previous Dauntless tradition is the fact that it’s crammed full of standard features. There’s an insulated livewell, a portable head in the console compartment, all of that aforementioned seating, and a compass. If you want more, you can get it: an anchor windlass, bow filler and/or table, cockpit refrigerator, and hard top are all available options. You can even get folding dive tank racks, if you want ‘em. 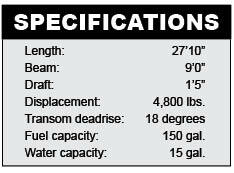 The raw water washdown is listed as an option, too, though we think this belongs on the standard equipment list of every boat of this nature. 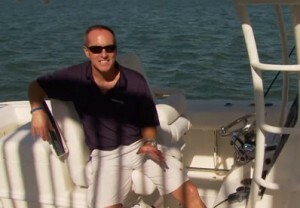 Most do-everything boats utilize the dual console design, and up until now the greatest weakness with the Dauntless center console concept has been its size limitations. 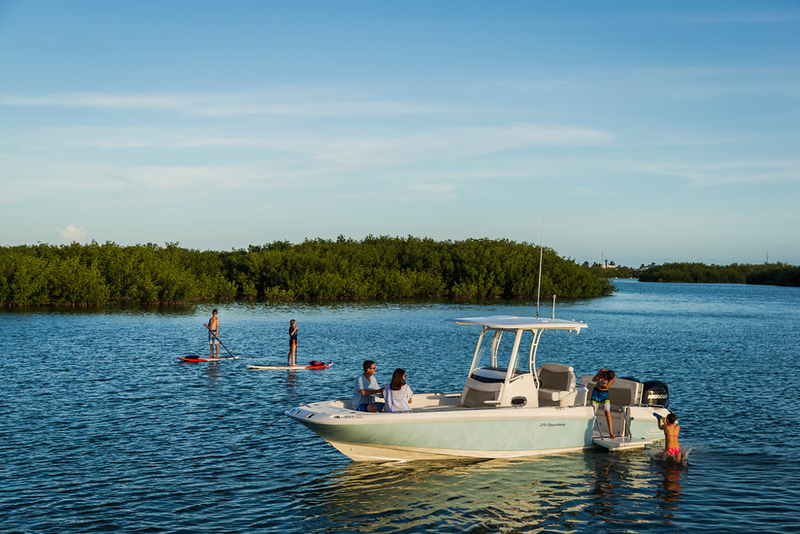 So we’re happy to see this line grow up, giving us the option of a larger, more capable boat of this nature—and we’re also happy to see that Boston Whaler continues to roll out lots of new designs, instead of merely resting on those laurels.